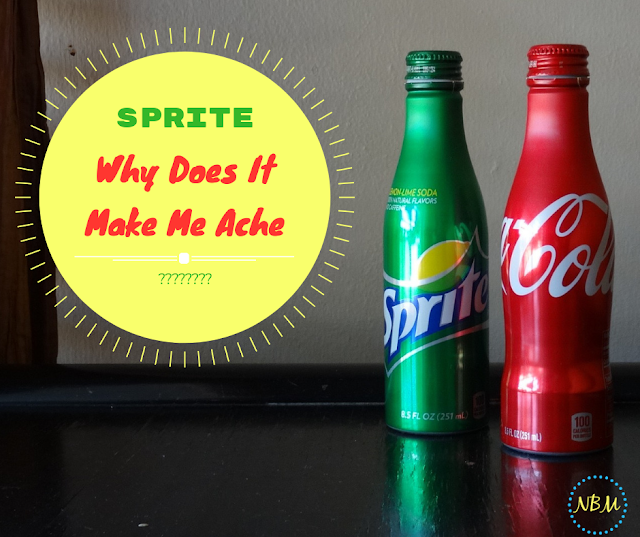 Sprite - Why Does It Make Me Ache? How could Sprite possibly hurt anyone? Well, that's a good question. We learned the hard way when our daughter drank just a little bit. She thought it wouldn't hurt since it was - just a few sips. Seriously, she only drank about 1/4 to 1/2 of a cup. It was really weird!! It all started happening several hours after she had drank the Sprite. At first, we couldn't figure out what was causing her to feel so bad. She kept telling me that both knees were aching. It wasn't but a few hours later that her legs were aching too. At that point, I knew she had probably eaten something that wasn't quite right so we went over our mental food log of what she had eaten in the last 24 hours. Guess what? There was nothing different except the Sprite. Being the researcher of the family, I began my "manhunt" of the culprit! Every ingredient on that Sprite bottle was tracked down! By the way, I have terrible "gut feelings" about "natural flavors" every time a read them. It literally creeps me out to think I am feeding our kids something called "natural flavors" but nobody can tell you what they really are. I mean nobody!!! If you call most companies, the "customer service guys" can't help you either!! All we know is that "natural flavors" are approved by the FDA. Oh, wow - that makes me have such peace about giving these "natural flavors" to our kids!!!! NOT!!! Not long after I began looking for an answer, our daughter calls in from her bed and tells me her whole body is aching. It's like it was hurting in different spots at different times all over her body!!! Of course, there was no one to answer any of my many questions. So, "Mama Bear" continued her hunt!! We knew that plain carbonated water probably wouldn't hurt anybody. So, I start checking out High Fructose Corn Syrup. Oh, boy!!! I had opened up a can of worms!!! High Fructose by itself isn't good! It contains a lot of heavy metal that has been linked to Autism. Fructose is a sugar and- in this case - it isn't derived from fruit but corn. This type of sugar is highly processed stripping away all nutrients. In addition to that, it causes the body to become inflamed and pulls down the immune system. Could that be the culprit? I kept going - I wasn't going to give up until I had found a solution. And, why use corn for the sweetener? Regular corn - that most people eat - is labeled as a pesticide by the ----- . It is completely genetically-modified to include the chemical pesticide within the seed itself. In addition to that, it is sprayed with more chemical pesticide and herbicide in the fields. I knew I was getting closer to my answer. Citric Acid or Sodium Citrate probably wouldn't bring on such drastic symptoms since they are both used to get rid of uric acid and prevent kidney stones. So, I moved on to Sodium Benzoate. It isn't really good for you since some people are allergic to it. It can even be the cause of hives. When mixed with Vitamin C, it is a definite carcinogen. Chemical preservatives should be avoided if a person wants to stay healthy with a good immune system. We try to eliminate them from our diet as much as possible. I had tracked down the main culprits - High Fructose Corn Syrup, Natural Flavors, and Sodium Benzoate. Since sugar, pesticides, and corn are major triggers - we know to stay away from those ingredients. Natural Flavors is kind of like a "wild card." Nobody really knows what "natural flavors" include. Many things that are natural are harmful to humans and can even be deadly. I don't think many of us would buy from a bakery if they labeled something as containing "natural flavors" but couldn't tell us from where they were derived. So, there you have it. If you are consuming a lot of Sprite, Dr. Pepper, Coke, Mountain Dew or any of the carbonated drinks and aching more than normal - if Arthritis seems to be flaring up a bit more than usual - try eliminating those from your diet for a week or so and see how you feel. 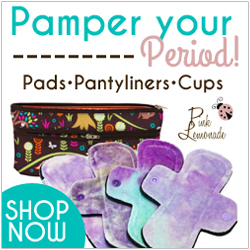 Plus, you'll get a bonus - it will save you money - and stop the pain!!!! Cheers to good health and long life!!!! 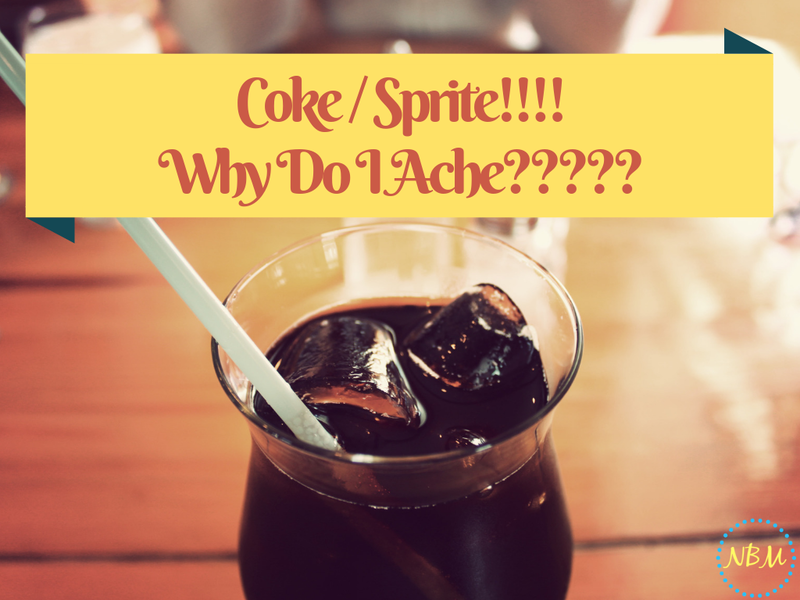 Have you had trouble after drinking sodas? Do drinks with high-sugar content bother you? Learn more about allergies and how they affect us on my Allergy Journey Into Health Pinterest Board.